A digital entity that is proving the marriage between print and pixels can and will work, and work beautifully. 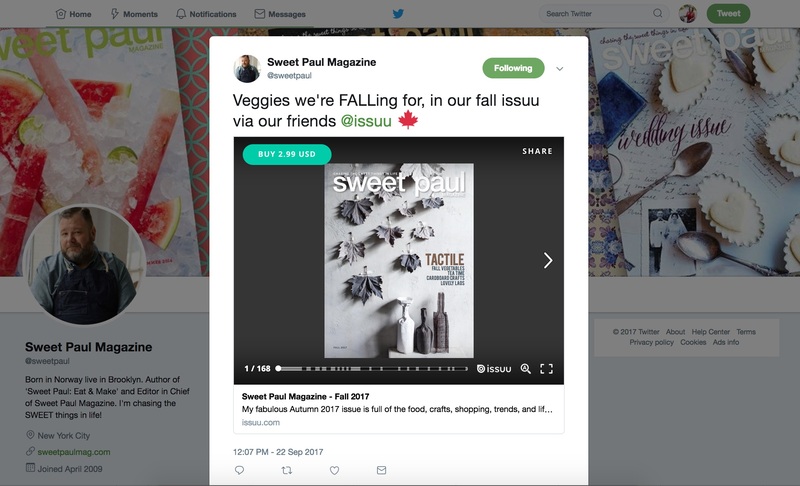 For 11 years, issuu has been connecting content and people to each other, with the mission to radically transform and support the publishing business, providing a real digital opportunity for growth and distribution to enhance high-quality print content. Starting out in Copenhagen, Denmark, the company then expanded into the United States and globally a few years later, ultimately becoming what it is today, an ever-evolving platform where more than 20,000 publications are uploaded daily to readers around the world. 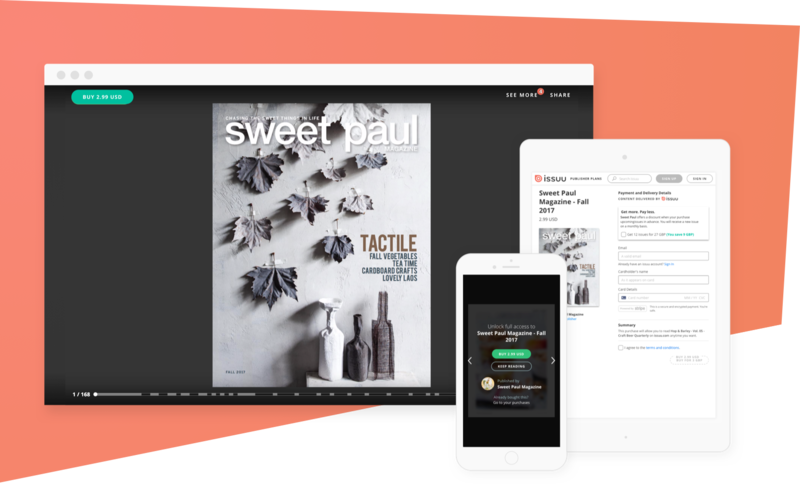 issuu’s site and mobile apps are used to discover and engage with what readers love, from magazines, newspapers and portfolios, to catalogs, DIY guides, community programs and more. 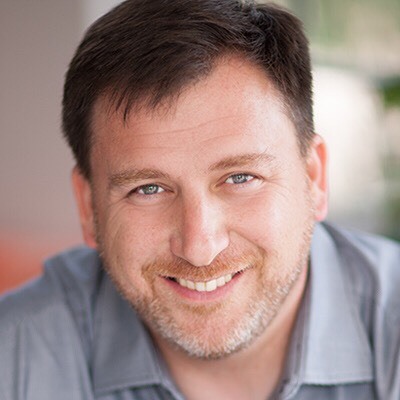 Joe Hyrkin joined issuu in 2013 as CEO, and believes in the digital platform, which makes content discoverable and sharable. I spoke with Joe recently and we talked about this marriage of high quality print content and a digital platform that both promotes and sells ink on paper via pixels on a screen. Joe is a man who is both pragmatic and visionary. He believes there is a place in our busy lives for both the short-form writing that digital is usually associated with, and the longer-form, meatier pieces that allow us to go deeper into subjects that we’re passionate about. And he strongly believes that he’s not the only one seeing a return to those in depth, impactful pieces, using Instagram and Twitter for digital examples, since Twitter recently doubled its allowed content and Instagram has increased its content since its original one image only at its inception, proving that people want that print experience everywhere, not just between the ink on paper pages. So, I hope that you enjoy this Mr. Magazine™ interview with Joe Hyrkin, CEO, issuu, and maybe after reading along with our conversation, you’ll find yourself like Mr. Magazine™, taking “issuu” with the many preconceived notions about the relationship between print and digital. On the digital newsstand being compared to the Amazon Jungle: The great thing about the Amazon Jungle is there are a whole set of rich resources that are accessible and important to the planet. And so, the notion of a comparison to the Amazon Jungle in some ways is not necessarily a bad one. It means that there’s a level of richness and yet undiscovered content that is meaningful and matters to people. So, I love that analogy. 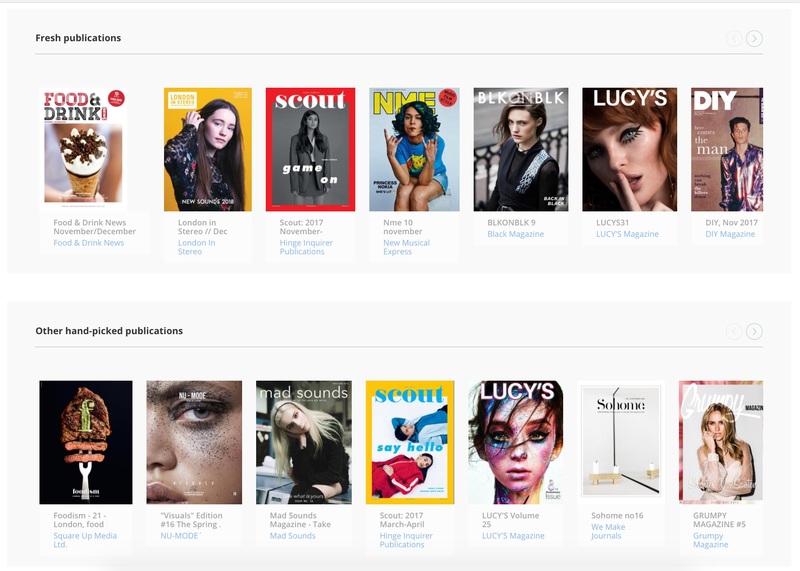 On how issuu connects the right content to the right audience with its approximately 20,000 uploads per day: issuu is a massive ecosystem of longer-form quality content that’s connecting to an audience interested in that content. And when we say 20,000 publications, it’s a combination of magazines, newspapers, marketing materials, catalogs; it’s an ecosystem of creators who are using longer-form content to connect to their audience. And that can be anybody from marketing materials and a brochure for a small to a medium-sized business, to big catalogs from Patagonia. Or it can be these media companies that are building a business around a magazine. And on the magazine front, there are a whole range of things that we’re doing. We feature content; we enable our consumers to indicate areas of interest that they have. We will show related content that should be interesting to you. On whether he believes there is no future for print and platforms like issuu will be the way to go: No, we believe that there is a great future for quality content, and I believe that the publishing industry is striving more now than ever before. I think there is this misconception that the publishing industry is struggling. I don’t think it is. There is more content being created, consumed, shared and engaged with now than ever before. On why he feels that “going deep” into content will have a more lasting impact than Twitter or other short-form platforms: I love that question. I think this is really an exciting, rich topic right now, because what we are actually seeing is all of the platforms and all of the digital experiences that have endeavored to make the world revolve around the short-form snippet stuff, have all actually come around to the fact that long-form quality engagement is really where people are spending time. On what can actually be uploaded to issuu: You have to own the content and any creator of content can upload that content to issuu. Once it’s uploaded into the issuu system, they can then do anything with it that they want digitally. They can embed it into their own blog; they can share it In-Stream and Twitter, on Facebook. They can actually, if they want to sell that publication, either through subscription or individual publication, they can sell it on issuu, on their own site, In-Stream and Twitter; suddenly, quality content can be sold in social environments that wasn’t available before, through this new digital sales system that we have created. On whether issuu might be the wholesaler of the 21st century in content distribution: We don’t limit the content by particular categories. And obviously, it has to be legal and you have to own it in order to upload that content. On the latest offering from issuu, permitting publishers the chance to sell their magazines: The early signs are fantastic. We only launched this two months ago and we’re seeing 300 to 400 percent growth of engagement just in this first couple of months. And we’re also seeing a whole set of publishers who, in some cases, were selling and are selling their print magazine, can now start to sell a digital version and digital access. So, what we see it as is just an element of more. They’re able to connect to an audience more fully. On the corporate link between the United States and Denmark: The company started in Copenhagen 11 years ago, with the mission to radically transform and support the publishing business so that there was a real digital opportunity for growth and distribution to enhance really high-quality print content. And it grew nicely in Copenhagen, but then decided to look at expanding globally, and expand both at a technology level and at a partnership and distribution level. And so, I think there was a natural inclination to look at Silicon Valley as the right landing spot here. On the biggest challenge facing issuu in 2018 or it’s a walk in a Rose Garden: Yes, it’s a walk in a Rose Garden, but you want to make sure that you don’t get pricked by the thorns, right? I think the biggest challenge facing us in 2018 is actually this notion that you’ve articulated, and I think it’s a misconception; that the world is moving toward shorter-form, lesser-attention engagement. I think the truth is, the world is moving increasingly toward both experiences, short-form and snippets of engagement, and there’s this real interest in longer-form content. On whether the new rulings on Net Neutrality will impact issuu in any way: I’m disappointed in the ruling. I am looking forward to seeing how some of these legal actions against it, the withdrawal of the Neutrality move forward. I don’t think we’re clear on exactly how it’s going to impact us. We want to have as much access that’s freely available as possible, because content should be controlled by the people who are creating it and want to consume it. Not by the people who monetize the pipes. On what someone would find him doing if they showed up unexpectedly one evening at his home: Probably something related to baseball with one of my kids. Either watching a game, playing catch; just something baseball-related. On what he would have tattooed upon his brain that would be there forever and no one could ever forget about him: Care. Care about what you’re doing; care about where you’re spending your time; and care about the human beings that you’re doing it with. On what keeps him up at night: I actually sleep really well. (Laughs) Thankfully, knock on wood, I’m generally pretty good at falling asleep. I travel a lot between here and Denmark; between California and New York, so when I get to bed, I generally fall asleep. But the thing that I think about a lot during the course of the day and when I wake up early in the morning is how can we constantly evolve the issuu platform and the issuu product so that these millions of creators who have a voice and have a story to tell can do so as effectively as possible. Samir Husni: Some people say that the newsstand, the actual brick and mortar newsstand, is a jungle, but the digital newsstand is more like the Amazon Jungle. Samir Husni: How do people utilize issuu? Joe Hyrkin: I’ll actually let others speak to that, but the great thing about the Amazon Jungle is there are a whole set of rich resources that are accessible and important to the planet. And so, the notion of a comparison to the Amazon Jungle in some ways is not necessarily a bad one. It means that there’s a level of richness and yet undiscovered content that is meaningful and matters to people. So, I love that analogy. And I think we at issuu really lean into that. I think where the overall industry is going is really about passionate creators; people who have a real message and a real set of content and ideas that they want to connect to an audience. They’re able to do so now through the medium of a magazine in ways that are exciting and interesting to the audience, to the people they’re connecting to, and enables them to build new emerging media companies. Samir Husni: You’re receiving approximately 20,000 new uploads every day. Samir Husni: With the audience trying to maneuver through those 20,000 uploads; how do you use your resources to connect the right content with the right audience? Joe Hyrkin: issuu is a massive ecosystem of longer-form quality content that’s connecting to an audience interested in that content. And when we say 20,000 publications, it’s a combination of magazines, newspapers, marketing materials, catalogs; it’s an ecosystem of creators who are using longer-form content to connect to their audience. And that can be anybody from marketing materials and a brochure for a small to a medium-sized business, to big catalogs from Patagonia. Or it can be these media companies that are building a business around a magazine. And on the magazine front, there are a whole range of things that we’re doing. We feature content; we enable our consumers to indicate areas of interest that they have. We will show related content that should be interesting to you if you’re reading particular bodies of content. So, yes, it’s 20,000 publications coming in, but we have algorithms and technology that understand all of the words within a publication and uses that to categorize that content, so that essentially we’re filtering that content into the areas and channels that cater to people’s interests. We talk about that have 35 million publications, with over three million publishers that have used us; the truth is those are numbers that I think of as really table-stakes. It means that we’re substantive and big enough, and that the core technology and service that we offer is valuable enough to creators to use us. But what it really means is that if you have a particular area of passion or interest, there’s a really strong amount of content that will appeal to you and you can go really deep into any particular category. If you’re into skateboarding or longboarding, you can go to issuu and get access to curated, expert-created publications that you can’t get access to anywhere else. If you’re into up-and-coming trends, fashion, that kind of content, the way we curate that enables you to dive into the content that you love, but also discover lots of new content. So, a discovery mechanism in association with particular categories of content is one that we’ve made available. So, you can surf for content, but when you actually sign up for an account, we take note of your areas of interest. When you’re looking at a publication, we serve up related content. We have navigation within the site itself directing you to particular categories of interest, etc. So, we break it down in order for people to get access to stuff that matters most to them. Samir Husni:, My daughter uploads her high school paper on issuu and the school uploads their online magazine on issuu; so are you in this business as a missionary, spreading the word? Besides being a content provider, why are you in this business? Do you believe there is no future for print and this is the best way to go? Joe Hyrkin: No, we believe that there is a great future for quality content, and I believe that the publishing industry is striving more now than ever before. I think there is this misconception that the publishing industry is struggling. I don’t think it is. There is more content being created, consumed, shared and engaged with now than ever before. I believe it’s incumbent upon the creators of that content to be able to leverage and use tools and platforms to get that content in front of people in the way that matters most to them. And so, I think print and the quality of print and the experience of print will always be one that has an audience. As a creator, you want to be able to connect to people where they are. So, someone of your daughter’s generation is reading and engaging with content increasingly on a mobile phone or on a digital device. And so while there’s an opportunity and room for print, their ability to expand and grow their audience has to dovetail and engage with digital as well. We look at ourselves very much as a platform where we’re really all about empowering creators to be able to distribute their content; to be able to monetize that content; and to be able to get detailed data around how that content is engaged with and consumed, which then enables them to build businesses around the content itself. When we look at the advertising world, which has always been a huge piece of more traditional printed magazines; the ability to layer in an advertising strategy that incorporates and adds in print and adds quality, digital advertising, not just banners or things that get absorbed by ad blockers, but quality, in-page experiences are valuable. We look at some of the most successful, larger subscription-oriented magazines, and a big piece of their attraction and what draws consumers is the quality of the advertising for brands that go in there. One of the things that print and magazines have done is marry the notion of advertising and interesting-ness in ways that most advertising doesn’t manifest. If you start to look at, for instance, digital publications, and now incorporate relevant and interesting video ads that amplify the brand and amplify the kind of content that is addressed in the pages. We don’t look at ourselves as being negative on print by any means. We have a lot of publishers who start off digitally, because it’s a great way to build an audience They continue to build and grow that audience digitally across the issuu platform and then they start to build out a print business as well. They start to do events and video content. What I’m increasingly finding is that magazine and newspaper businesses are about creating experiences and information to connect the creator with those people who are passionate. Much of that happens to the pages digitally or in print. Increasingly, we’re also seeing interesting video content coming out of it. We’re seeing interesting events that are evolving as well. I believe we’re starting to see the next generation of a Vice Magazine evolving and developing. And I just think that we will see it at a much greater rate than anything we’ve seen in the previous couple of generations. Samir Husni: In most of the interviews that you’ve given and the pieces you’ve written, I often got the impression that you’re swimming against the current. You’re telling people who want to go digital, the millennials, skip the short-form and go deep. In this Twitter generation; in this Selfie generation, why do you think going deep will have a more lasting impact than say, 140 characters? Joe Hyrkin: (Laughs) I love that question. I think this is really an exciting, rich topic right now, because what we are actually seeing is all of the platforms and all of the digital experiences that have endeavored to make the world revolve around the short-form snippet stuff, have all actually come around to the fact that long-form quality engagement is really where people are spending time. You mentioned Twitter. Twitter actually just doubled the number of characters that you can use in a Tweet. And they’re exploring different ways to incorporate, or not count longer-form, other embeds or attachments to a Tweet, because they understand that length starts to matter. You look at Instagram and it started off with “an” image at a time, then they evolved to video, which began to create a longer expression Then they went to 10 images at a time; and increasingly what we’re now seeing is people are using Instagram, instead of just an image, they’re writing 250-500 word essays associated with their Instagram content. We look at BuzzFeed, which in many cases was the poster child for short-form, snippet-list kinds of content; they’ve gone and hired some of the world’s leading investigative journalists to provide longer-form content. And so, what we see is everybody who has attempted to distill our world and our experiences into things like “an” image, “a 140 characters,” have had to embrace the importance of in depth, meaningful content. I think as human beings, as people, we are constantly looking at both. There are short-form headlines, stuff that may grab our attention. And increasingly, one of the great things about the Amazon Jungle of the digital world is that when you discover the richness or the interesting things that are appealing to you; you want to go really deep. And that depth, I believe, is going to be one of the great gifts of the digital age. I think we’ll experiment, explore and flirt with this headline-snippet stuff, but the real value will be the fact that we can go deep into the content that we really care about. And every meaningful platform that we see out there, that revolves around content, has either embraced longer elements that are radically longer – I mean, Instagram used to be a picture, now they have increased their engagement around that content 10 X by enabling you to put 10 pictures together, and now it’s even greater by enabling essays that are associated with those pictures. So, yes, you may say that I’m swimming upstream, but I don’t think we are. I believe we’re just seeing the world embrace quality in ways that I think many had prematurely dismissed. Samir Husni: How do you differentiate what’s uploaded? Is there some sort of filter in place, or can people upload anything to issuu? Joe Hyrkin: You have to own the content and any creator of content can upload that content to issuu. Once it’s uploaded into the issuu system, they can then do anything with it that they want digitally. They can embed it into their own blog; they can share it In-Stream and Twitter, on Facebook. They can actually, if they want to sell that publication, either through subscription or individual publication, they can sell it on issuu, on their own site, In-Stream and Twitter; suddenly, quality content can be sold in social environments that wasn’t available before, through this new digital sales system that we have created. It can be used for paginated content; again, whether it’s marketing materials or magazines, newspapers, or catalogs. It’s primarily used for somebody that has a story or a depth of content that they want to be communicating. Each of the pages then become engage-able, so you can embed video in those pages. You can leverage links to go buy and sell products. You could have an Adidas ad and link it directly to a commerce site; the other Amazon. (Laughs) So, you could start to use the pages of the content to create a deeper engagement, both from a commercial perspective and from a content perspective. Samir Husni: Are you the wholesaler of the 21st century? I mean, compared to the wholesaler of the 20th century, who, whatever type of magazine that was printed, they just distributed. Joe Hyrkin: We don’t limit the content by particular categories. And obviously, it has to be legal and you have to own it in order to upload that content. Samir Husni: You’ve started offering publishers the opportunity to sell their magazines; how is that going? I know it’s in its infancy, but what are the early signs indicating? Joe Hyrkin: The early signs are fantastic. We only launched this two months ago and we’re seeing 300 to 400 percent growth of engagement just in this first couple of months. And we’re also seeing a whole set of publishers who, in some cases, were selling and are selling their print magazine, can now start to sell a digital version and digital access. So, what we see it as is just an element of more. They’re able to connect to an audience more fully. We’re seeing some folks who are just focused on print sales, but they’re using issuu to sell digital back issues of that content. It’s just an ongoing way for them to be able to monetize and build a business. We have integrated core technology that makes it super-simple, so we’ve integrated with Stripe, so they get paid immediately. We’ve structured it so they can have that content be purchased In-Stream and Twitter, or various other social experiences. What we’re finding is folks that have an audience and were only monetizing through either limited print sales or print itself, or advertising, now have a whole new avenue to monetize. And we’re seeing that very much in line with the industry in general. We’re seeing companies like Patreon, who just raised tens of millions of dollars around their platform to enable creators to monetize and distribute their content. We’re increasingly seeing a marketplace for creators to distribute, and that benefits; a rising tide lifts all ships. Everybody, from major publications or newspapers, to up and coming, emerging folks, can take advantage of this. Samir Husni: Tell me about the link between here and Denmark. Not too many companies are based in California and Copenhagen. Joe Hyrkin: (Laughs) The company started in Copenhagen 11 years ago, with the mission to radically transform and support the publishing business so that there was a real digital opportunity for growth and distribution to enhance really high-quality print content. And it grew nicely in Copenhagen, but then decided to look at expanding globally, and expand both at a technology level and at a partnership and distribution level. And so, I think there was a natural inclination to look at Silicon Valley as the right landing spot here. I actually got recruited to run the company at that time, so I’ve been onboard a little bit shy of five years. What we find is we’re a global company; we cater to creators and readers all over the world. 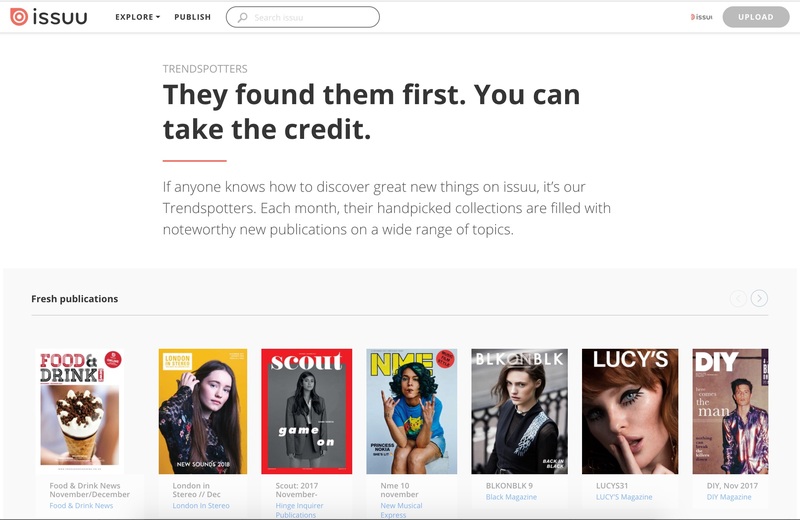 One hundred million uniques are consuming issuu content monthly all over the world; it’s the same with creators. It gives us a real direct engagement and a direct perspective of what that global interaction is like. We have a really great team. We actually have folks in Berlin, as well. So, we have people in Berlin, Copenhagen, New York and Palo Alto, and we get the best of both worlds. We get the technology, tech distribution, and the cutting edge side of how distribution, monetization and growth can manifest with super quality engineers and quality design perspective. And I think we’ve married them really well. Samir Husni: As you look toward 2018, what do you think is the biggest challenge facing issuu or it’s a walk in a Rose Garden? Joe Hyrkin: Yes, it’s a walk in a Rose Garden, but you want to make sure that you don’t get pricked by the thorns, right? Joe Hyrkin: (Laughs too). I think the biggest challenge facing us in 2018 is actually this notion that you’ve articulated, and I think it’s a misconception; that the world is moving toward shorter-form, lesser-attention engagement. I think the truth is, the world is moving increasingly toward both experiences, short-form and snippets of engagement, and there’s this real interest in longer-form content. We’re a big platform and we have a big footprint. But what we’re constantly doing and are challenged by is how do we get more of the best stuff in front of the people who care about it most. So, looking at new ways to distribute; looking at new ways to leverage platforms that people are flocking to. How do we engage more fully with Instagram and various other social platforms in a way that enables people who care about this content to access it as effectively as possible. Samir Husni: Do you think the new rulings on Net Neutrality will impact issuu in any way? Joe Hyrkin: I’m disappointed in the ruling. I am looking forward to seeing how some of these legal actions against it, the withdrawal of the Neutrality move forward. I don’t think we’re clear on exactly how it’s going to impact us. We want to have as much access that’s freely available as possible, because content should be controlled by the people who are creating it and want to consume it. Not by the people who monetize the pipes. Joe Hyrkin: Probably something related to baseball with one of my kids. Either watching a game, playing catch; just something baseball-related. Joe Hyrkin: Care. Care about what you’re doing; care about where you’re spending your time; and care about the human beings that you’re doing it with. Joe Hyrkin: I actually sleep really well. (Laughs) Thankfully, knock on wood, I’m generally pretty good at falling asleep. I travel a lot between here and Denmark; between California and New York, so when I get to bed, I generally fall asleep. But the thing that I think about a lot during the course of the day and when I wake up early in the morning is how can we constantly evolve the issuu platform and the issuu product so that these millions of creators who have a voice and have a story to tell can do so as effectively as possible. And what are the things that we do, or the things that we need to do as a company and as a product to keep facilitating that.